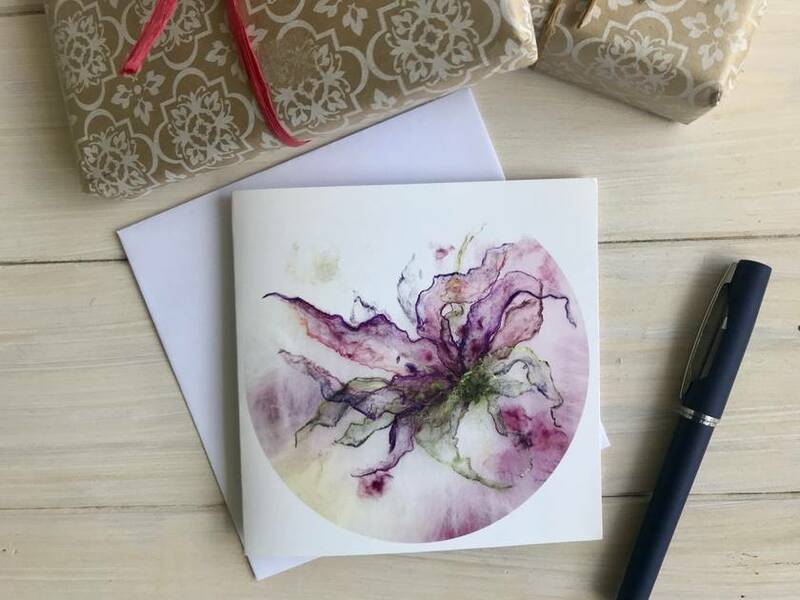 Pack of 4 Fibre Art Greetings Cards, "Lilies"
Pack of 4 greetings cards featuring Caroline Burton, Fibre Artist's range of Fibre Art Prints. 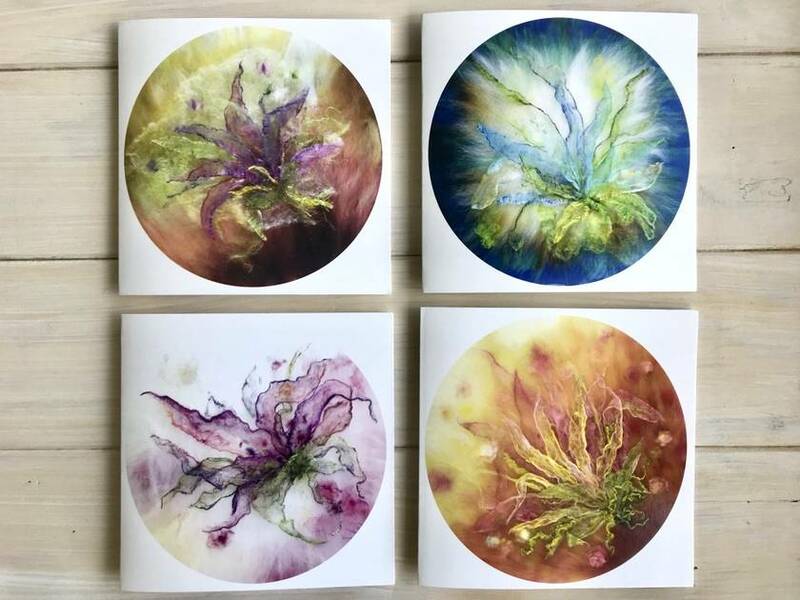 "Lilies" contains four different designs depicting abstract lily forms in a variety of striking colours. 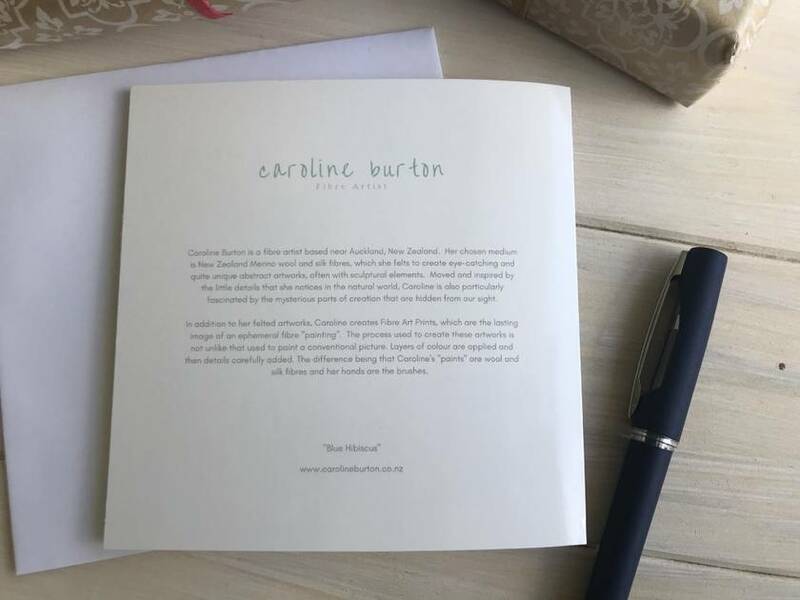 On the reverse is a little information about the artist, so that the recipient not only receives your special message but also the opportunity to explore the world of a unique and unexpected art form. Cards measure 14 x 14cm and are blank inside. Each pack of 4 also contains 4 quality envelopes. 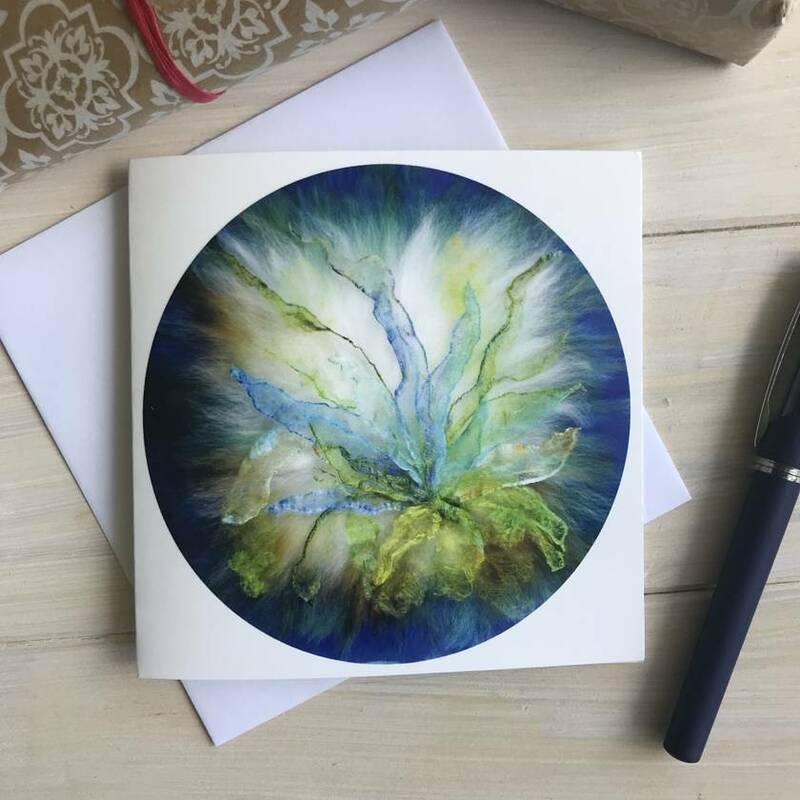 Larger, high quality fine art prints of these designs also make beautiful gifts, perfect for sending. These can be found in the Created Creative shop here on Felt. Can't find the size or print you're after? Just send me a message and I can organise it for you. Contact createdcreative to enquire about payment or shipping options.